A new positive step has been recently taken by the Parliament of Kuwait to reflect the changes which have occurred over the past years concerning commerce and industry in the GCC region and in various economies throughout the globe. A new companies law has been passed in Kuwait which provides a more realistic and practical perspective than the previous companies law. 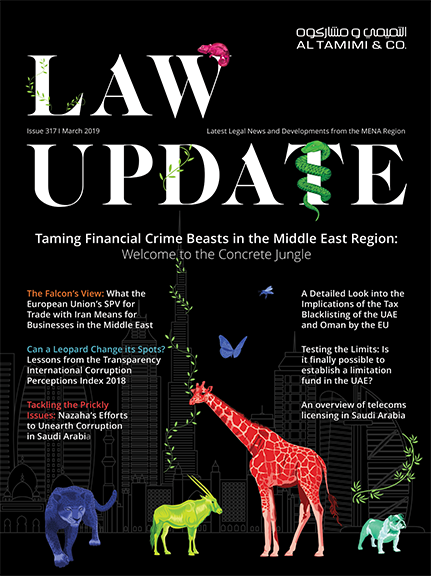 The issuance of such new companies law can be regarded as progress as it reforms the outdated practices and offers investors a more attractive investment environment, which will positively affect the economy in Kuwait. Law No. 25 of 2012 Promulgating the Companies Law was published in the official gazette – (Al Kuwait Al Youm) on 29 November 2012 (the “Companies Law”). A high level review of the Companies Law demonstrates that such new law provides more details and clarity than the previous one. Further, it provides guidance in relation to certain matters, as the previous law was silent on various areas (i.e. shareholders’ agreement) and such non codification often resulted in investors facing uncertainty and thereby triggering their hesitance to invest in Kuwait. The Companies Law provides more types of companies that can be established in Kuwait, such as the incorporation of non-profit companies. Non profit companies are now permissible under the Companies Law in order to undertake a social role, along side the commercial companies, which is going to benefit the social function of Kuwait. Moreover, new forms of companies have been introduced in the Companies Law, such as a sole person company and the professional companies. Professional companies may take the form of a closed shareholding company, limited partnership or a company with limited liability. Further, the Companies Law also has changed some provisions with respect to holding companies, as under the Companies Law holding companies may take the form of a closed shareholding company, a limited liability company or a sole person company. With respect to the incorporation procedures of companies, it is acknowledged that the process for starting a business in Kuwait is lengthy and complicated thereby hindering commerce and the establishment of new companies. To address this issue, the Companies Law has adopted what is known as the one window system for finalizing the procedures of incorporating companies. Procedures of incorporating companies shall be completed through a special department for this purpose at the Ministry of Commerce and Industry, which comprises representatives of the concerned government bodies to ensure prompt finalization of the incorporation procedures. The aim of the Companies Law is to facilitate the entire process, while encouraging more investors to establish companies in Kuwait. In light of the above, the Companies Law is a welcomed reform that should have a positive impact on investments in Kuwait and the Kuwaiti economy overall.